We are Sure Recruitment that specialises in supplying medical practitioners to private homes, hospitals etc. Sure recruitment is one of the fastest, well-respected, highly reputable specialist care consultancy providing comprehensive support, Health and Social Care recruitment. It is a UK based recruitment agency that has become highly successful. Sure Recruitment has affordable services. We have expert, with many years of experience in recruitment which makes us your best option. We are tested and trusted. Our customers’ testimonials can give you a better proof of this. We are very effective and totally focused. We maintain a close relationship and good communication with our customers. In fact, your schedule is our schedule. Most importantly 100% guaranteed service! Vacancies Care Assistants required in shropshire and surroundings. Care Assistants required to work in Kidderminster areas. Carers needed to work in domiciliary care unit in Lichfield, Sutton Coldfield, Little Aston,Burntwood area. Candidates must be able to work on weekend shifts, being able to drive with a valid U.K. License would be essential. Temporary staffs needed to work in Dudley and Tipton areas. Carers required in Worcestershire area with excellent hourly rate. Carers required in Coventry area with excellent pay. Carers needed in Warwickshire and surroundings with excellent pay. Carers required to cover shifts in Birmingham, excellent hourly pay. Being able to drive witha valid full UK license would be essential. Social workers required to cover shifts in West Midlands with excellent pay. Carers needed to cover shifts in Sandwell and surroundings with excellent hourly pay. Because of the risk involved in patient care, providing high-quality care by supplying expert, healthcare professionals in both permanent and temporary roles towards the wellbeing of patients is extremely important. These patients need individuals who care a lot about other people and who’d like to help. Good observation is helpful, and the ability to write down what they observe is very useful. The type of duties they might do could be personal care of patients, assisting people to eat, helping them mobilise, and assisting with improving their comfort as well as monitoring their condition. We are about to hand you over to our best one-of-a- kind service that will expose you to experienced, professional and qualified health assistant. Sure recruitment is one of the fastest, well-respected, highly reputable specialist care consultancy providing comprehensive support, Health and Social Care recruitment. We give our clients the opportunity to explore and assess the levels of assistance available to them with the skills, interests and qualities they need and deserve. We are committed to providing the highest quality of service and also, focus continuously on improving our offering. We maintain quality workforce that work round the clock to ensure you get the best health assistants. We offer job satisfaction and Career options plus opportunity to contribute to society and getting the best health services for care homes, hospitals, etc. Experience and proficient recruitment are the heart of our recruiting philosophy. We would be more than happy to welcome anyone who possesses vibrancy and is passionate to serve the human race. The incumbent must be a team player who can adapt to the organisation’s cultures and values. Most importantly, must be dedicated with all the attributes of a pure professional so as to excel with the team. At Sure Recruitment, we recognise that employing a qualified, well-trained and competent staff member to take care of your patients is critical, which is why all our employees have undergone all the required training. We also ensure that the majority of our staff have their own vehicles so that they can efficiently reach their workplace on time. In addition, they are insured and have undergone background checks by using Disclosure and Barring Service (DBS) suitable to their profession so that you can concentrate on what is really important and taking care of your patients. Our aim is to support public and private healthcare organisations. 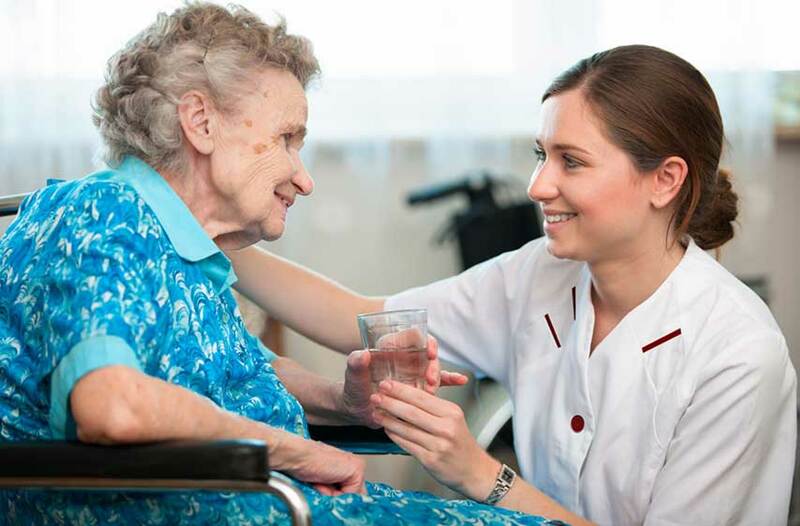 We focus on delivering high-quality care solutions with our bank of qualified and experienced healthcare professionals which includes nurses, care assistants and support workers to care providers, mental health institutions, and hospitals.